label on the neck and on the left hip side. THE MEASUREMENTS SHOWN ARE APPROXIMATE AND CAN SLIGHTLY VARY FROM THE ACTUAL SIZE OF THE PRODUCT. SOME PRODUCTS MAY BE SUBJECTED TO SHRINK UP TO 3% AFTER THE FIRST WASH.
Measure right under the arms, around the fullest part. Make sure the tape is tight and leveled. 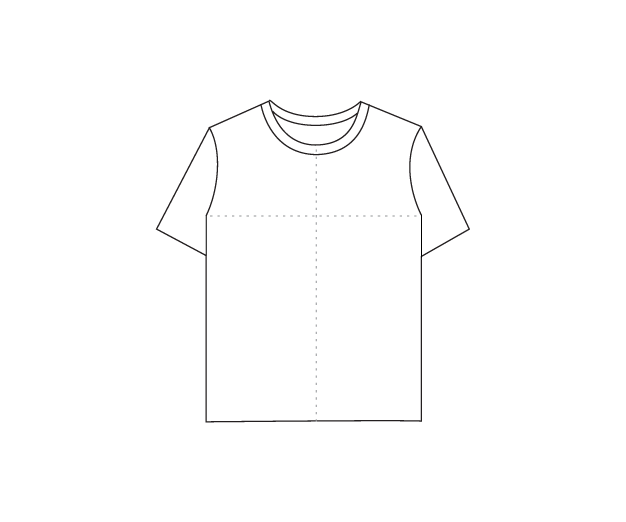 Measure the full lenght of the T shirt from the neck down. Get 10% Off your first purchase by subscribing to our newsletter. We'll also send you news and updates about promotions and new releases.